Laser technology has been feasible since long before the dawn of galactic warfare. Early iterations of laser technology were small and could only produce a modicum of heat and pressure. As the technology developed, the concept of Directed Energy Weapons or D.E.W’s began to take form. Beam weapons utilize this technology to carry radiant energy through space at the speed of light. They are incredibly accurate even though their firing rate is incredibly fast. 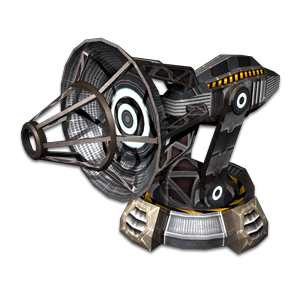 These weapons can only fire in bursts; a constant beam would almost immediately overheat the power supply and destroy both the weapon and the ship. These bursts of charged particles are found in varying intensities and therefore can be used to disrupt a ship’s shields, or outright tear through the hull of the ship itself.